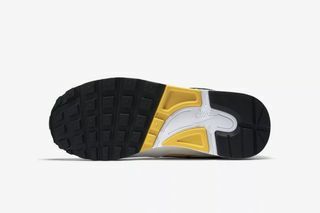 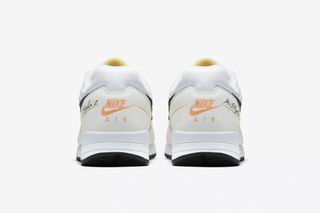 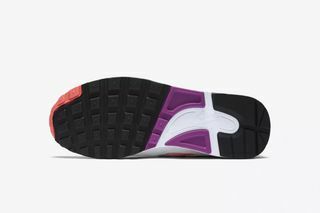 Key Features: Colorful mesh section beneath the Swoosh, heel and forefoot Air in the phylon foam midsole, stylized tag on the heel, and soft white suede overlays. 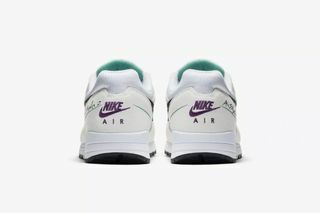 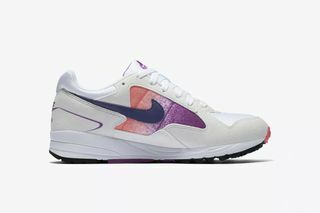 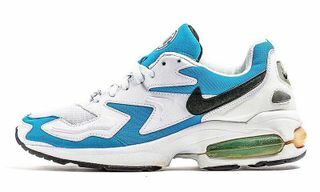 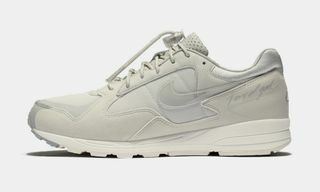 Editor’s Notes: Originally released in 1990, Nike is bringing back its Air Skylon II in a big way. 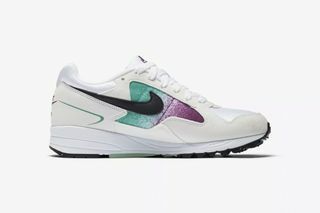 Three retro-tinged colorways of the sneaker will be released on July 20. 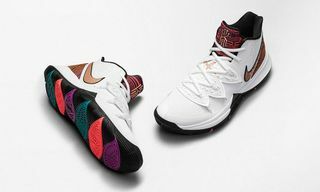 Each of the three colorways features a colorful mesh graphic beneath the swoosh and hits of color on the outsole. 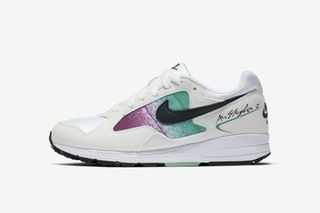 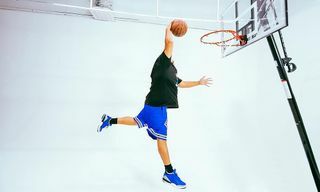 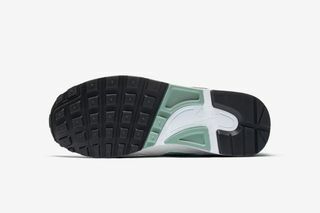 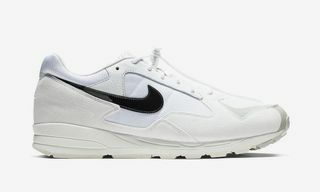 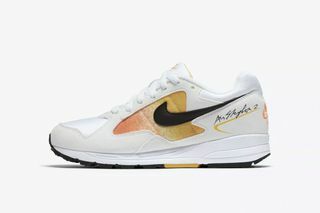 The Nike Air Skylon II was the first trainer to incorporate Air units in both the heel and forefoot of the molded, phylon foam. 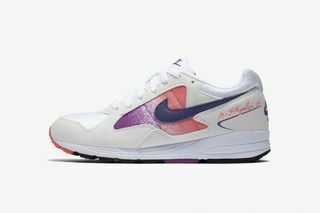 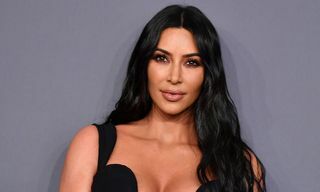 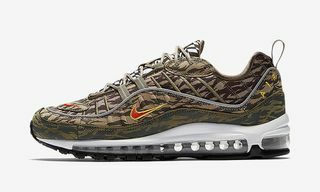 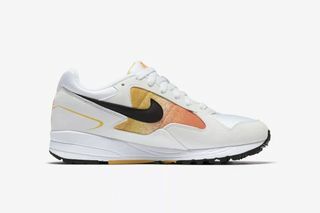 Technically a women’s release, the shoes are likely going to get a limited size releasing, meaning that those with larger feet will have to miss out on the retro Nike fun. 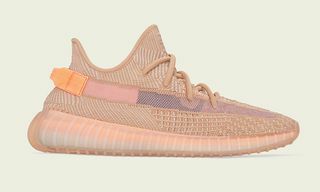 Flip through the colorways above and let us know which is your favorite in the comments.